With a full range of adult sizes, these popular color-changing tees offer a size for every member of the family. “All Aboard Verde Canyon Railroad” decorates this train tunnel scene printed on a crisp cotton tee in natural. A little sunlight and a “touch of magic” is all it takes to bring out the design’s bright colors. 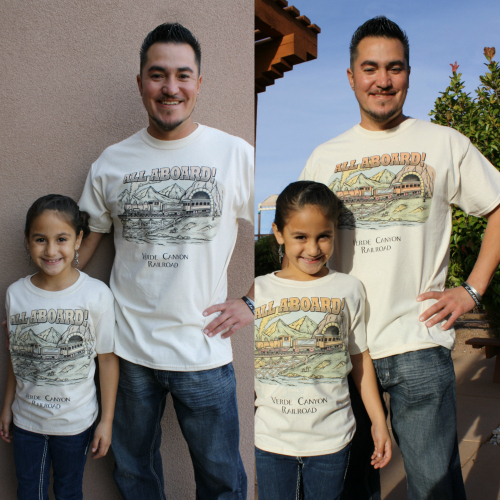 This fun adult tee, with the Verde Canyon Railroad namedrop on the front, is machine washable and preshrunk in natural cotton. Comes in five sizes.